It’s always hard for me to write about a friend who’s passed away, but especially hard to write about someone I have so much history with like Sheilah Kent. In 1965, that beautiful California Girl married this aspiring songwriter/artist from the Bronx during a time when inter-racial marriages were against the law in most states. Was I wrong to think that you…could live like I’m accustomed to? I can just give you love…but is that good enough? At Mercury records, Sheilah worked as a secretary for producers, Luchi DeJesus (Miriam Makeba), Dennis Lambert (Freddie and the Dreamers), Artie Kornfeld (The Cowsills), and Jerry Ross (Bobby Hebb, Keith, Jay and the Techniques) while we socialized with them and their wives, I also wrote songs with her bosses. 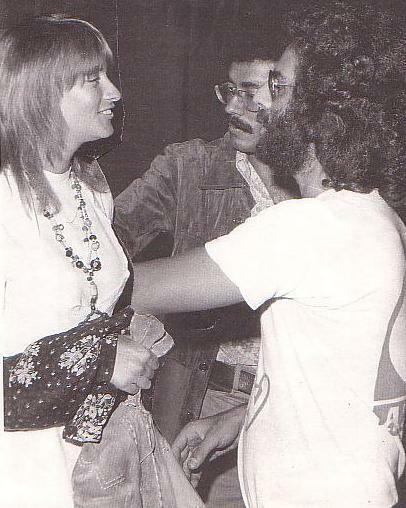 When we divorced in 1968, I moved to California, while she stayed in New York and ran Jerry Ross’ office at Heritage records, and later worked with Artie Kornfeld again when he and Michael Lang put on Woodstock. When I ran A&M’s publishing in 1974, I hired Sheilah as my personal assistant. By this time, she not only had highly developed managerial and organizational skills, but also had a rapport with creative and business people that was second to none. Sheilah, who once had been the inspiration for some of my deepest songs, had become one of my closest friends. We always had each others backs, as well as each others shoulder to cry on. In the late ‘70s, I was ecstatic when she married actor David Warner (“Time After Time”, “Titanic”). Although their marriage didn’t work out they produced a son, Luke, who I met as a small child. It was Luke who E-mailed me of his mothers passing and although we never met I felt a connection there. My deepest sympathy goes out to all of her family and friends, who will surely miss her. Here’s a song I wrote with Patti Dahlstrom, for our friend Jim Croce the night his plane crashed…I dedicated it to my mother when she passed away…and now to Sheilah who will always be in my heart. Special thanks to Heather MacRae for helping me put this tribute together. If you have a comment to make about Sheilah, please do so in the space provided below. I’ll make sure her family will get each and every one. Tags: Artie Kornfeld, Dennis Lambert, jerry ross, Luchi DeJesus, Sheilah Kent R.I.P., Sheilah Warner R.I.P.